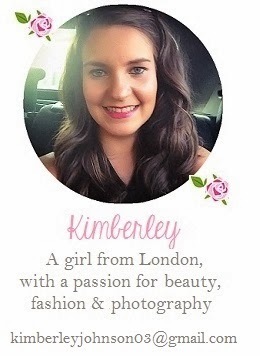 MAC Girl About Town – 2013 saw me being more adventurous when it came to lipstick colours and wearing brighter shades. One of my favourites became Girl About Town which is a gorgeous bright pink. It looks great in the Summer and goes well with my blue eyes. See the review here. YSL Lipsticks – In 2013 I tried my first lipsticks from YSL and now I adore them. They feel very light and hydrating on the lips and the colour range is great. 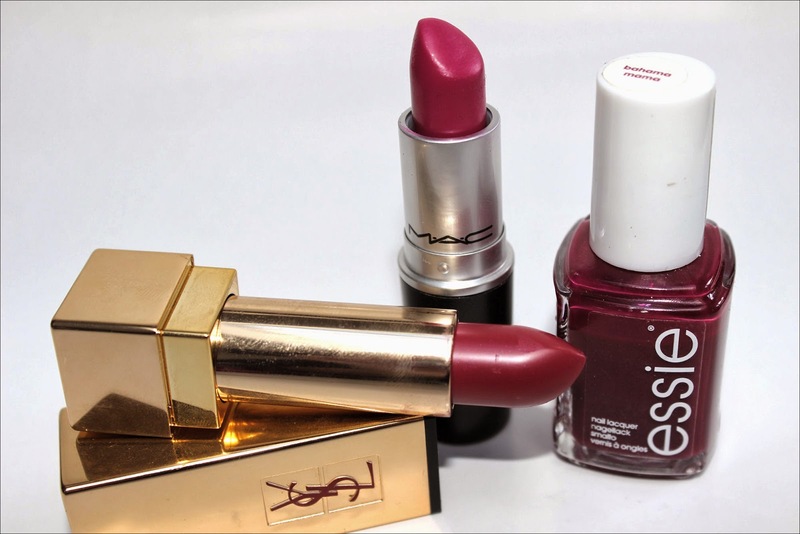 I love wearing these lipsticks! The colour featured here is Rouge Pur Couture (no. 60) and is a shade I happily wear all year around. Review coming soon! Essie Nail Polish – I love Essie polishes because they are great quality, affordable and a huge range of colours are available. One of my most used colours in 2013 was Bahama Mama which is a gorgeous berry shade. Read the review here. Chanel Vitalumiere Aqua – My all time favourite foundation it Chanel Vitalumiere Aqua. It provides light coverage, blends well and gives a very natural finish. Read the review here. Maybelline Color Tattoo – These cream eyeshadows are brilliant and by far my favourite from any brand. My most used shade is ‘On and On Bronze’ which blends easily all over the eye lid and looks beautiful for both a day or evening look. This eyeshadow has often come to my rescue when I’ve wanted to freshen up my makeup in the evening and I can imagine I will also use this a lot in 2014. Read the review here. 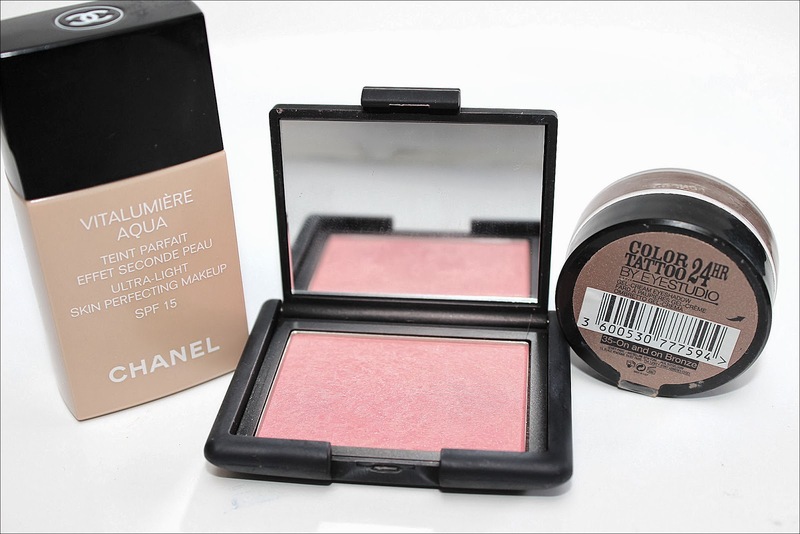 Nars Amour Blush – My most used blush last year is Nars Amour. This is a beautiful pink which looks lovely with lots of different makeup looks. Although it is well pigmented it is easy to use and blend without too much effort so is perfect to use for simple every day looks when you don’t have much time. Read the review here. 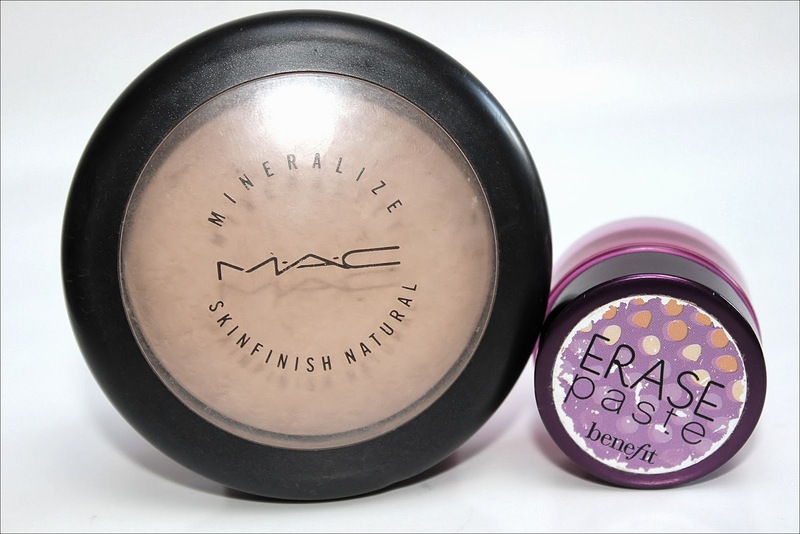 MAC Mineralise Skin Finish – This powder is popular in the beauty community and is the only one I used during 2013. I haven’t felt the need to try any others as I don’t use much of it and this one does the job perfectly. Read the review here. 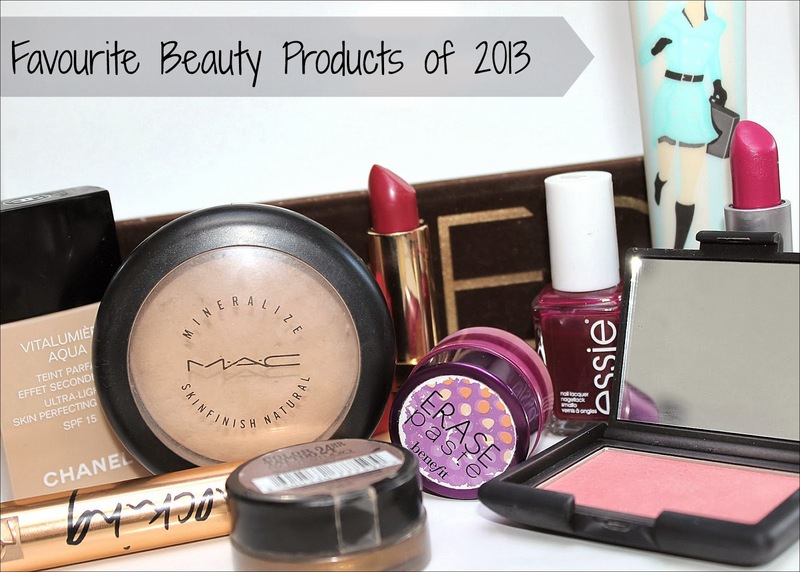 Benefit Erase Paste – My favourite Concealer of 2013 was Benefit Erase Paste. The pot may only be small but as I use so little this has lasted me at least a year and I love it. It’s creamy blendable texture applies perfectly whether you are using a brush or your fingers and it is great to use under the eyes or to hide blemishes. Read the review here. Urban Decay Naked 1 Palette – Out of all the products featured in my favourites posts the hardest to pick were eyeshadows because I try to use different ones every day. I’m a big fan of MAC as well as Nars but I think my all time favourite have got to Urban Decay. I find Urban Decay a reliable and high quality brand and no matter what palette I buy the eyeshadows are well pigmented, there is limited full out and the shadows are creamy and blendable. My most used is definitely the Original Naked 1 palette as you can create many day and evening looks. Read the review here. 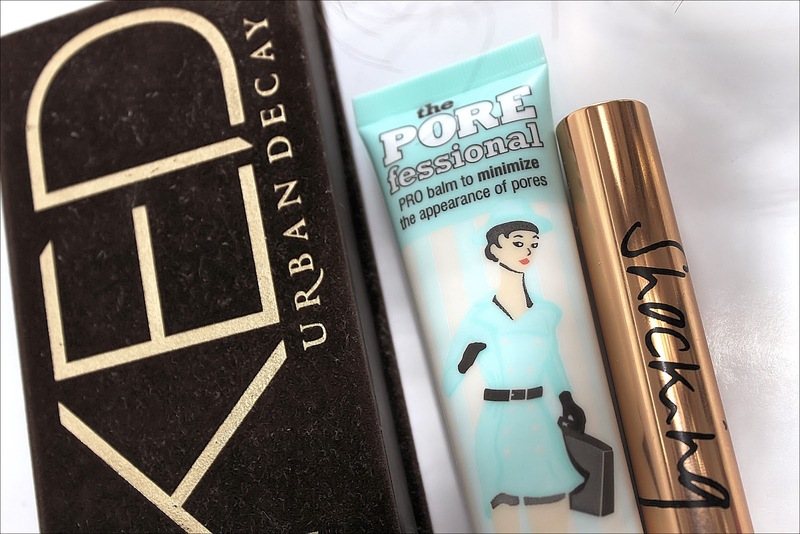 Benefit Porefessional – My favourite primer last year was definitely Porefessional. This multi-purpose product helps smooth my skin so my makeup looks better and stays on for longer as well as reduce the size of my pores. The texture is silky smooth and the formula doesn’t cause my skin to break out. Read the review here. YSL Shocking Mascara – I tried a lot of different mascara’s in 2013. Many of them I liked and would re-purchase but one which I could probably call my ‘go to’ product was the YSL shocking mascara. The brush is natural (I guess that’s how you would describe it?!) rather than plastic and colour is jet black which I love. This mascara makes my eyes pop, it adds volume, length and defines my lashes well. A downside is the thick formula can cause clumps but If you scrap off the extra product before use this isn’t a problem. A full review of this mascara will be coming soon. What do you think of my favourites? Love naked palettes, and want to try erase paste! Im happy with my concealer but ive heard this one is great! Great picks and the only thing I tried from these is the porefessional. I think my wishlist has just gotten longer! absolutely love the maybelline color tattoos!